Very sleepy after observing eclipse whole night. I tried to make some photos, by my cheap cam gave me very poor images. 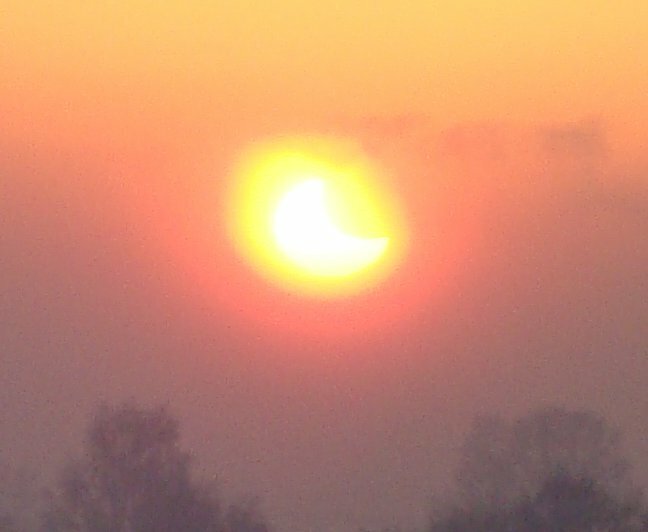 As January solar eclipse was at sunset, this eclipse was at “moonset”. Yesterday I received copy of “Observing Earth Satellites” by Desmond King-Hele (1982). It was advised on SeeSat list, and I found a copy affordable for me. Yesterday event was successful. Andrey’s 75mm refractor displayed nice images of Sun with spots, and my 130mm reflector displayed the rising Moon. The Moon was low-contrast on daylight sky, but children enjoyed it anyway (though some were unable to spot it, but many managed to see lunar maria). Happy Cosmonautics Day and Yuri’s Night! Today my fellow Andrey and I will bring out telescopes to show Sun and Moon to schoolchildren at city museum. Posted in astronomy | Comments Off on Happy Cosmonautics Day and Yuri’s Night! My congratulations to Russian astrophotographer Igor Chekalin, winner of ESO’s Hidden Treasures 2010 competition. You may see his artwork. There is a nice eclipse photo by Aleksandr Yuferev published recently on APOD: http://apod.nasa.gov/apod/ap110107.html. Zoom from the above image. I will observe it with my friend on top of high building. Eclipse will be on sunset at our location. Outdoor temperature is about -35C (-31F), sky is almost clear. I finally paid for one-night participation on SibAstro (17-18 of September). 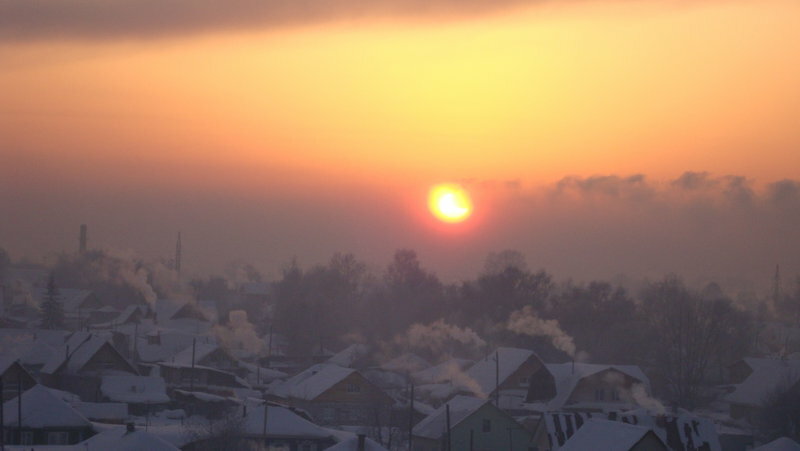 Perhaps, I would spend there full two nights, but I have to go Barnaul (capital of nearby region) for 5 days soon after SibAstro. I have managed to create ebuild for Observation Manager 1.020 recently released. Old versions were not working with system install (AFAIR, they attempted to write to /usr/share/), but 1.020 seems to work. It was a difficult task, as package has two source packages with individual Ant project for modules in each package. If you are Gentoo-using amateur astronomer, fill free to check my Gentoo Astronomy overlay!